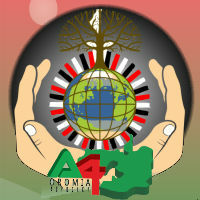 Advocacy for Oromia, a non-profit organization incorporated in Australia, to advocate for human rights and for social justice, would like to address the planned visit of US President Barack Obama to Ethiopia in July 2015. We respect the policy of the United States whose foreign policy in principle is committed to promoting the ideals of human rights, the rule of law, and democracy. However, we strongly entreaty to the USA to cautiously assess that such visit will not send the wrong message to the dictators as we are extremely concerned about the human rights abuses in Oromia. For over six thousand years, the Oromo people maintained a unique national identity distinct from the national identity of Abyssinia. In 1900, the Abyssinian rulers invaded the land of Oromo people and embarked on a policy of occupation and oppression that seriously threatens the continued survival of the unique cultural and religious identity of the Oromo people. Tragically, a world that condemns colonialism has largely ignored Abyssinia’s occupation of Oromo land. The human cost to the Oromo people has been of tragic proportions. Hundreds of thousands of Oromo’s were killed outright or died as the result of aggression, torture or starvation. Over 8,000 sacred places and centre of Gadaa were destroyed.